Nature has been at work for thousands of years selecting and developing the native plants most suitable for each kind of soil and climate, and this handbook is designed to give the reader a better understanding of the many values of native grasses, including erosion control, forage production, roadside plantings and recreation areas subject to heavy foot traffic, and beautification. 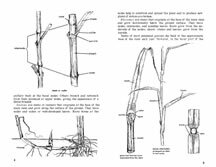 The book includes an excellently illustrated explanation of the principal parts of a grass plant (Click to read an excerpt: Principal Parts of a Grass Plant). 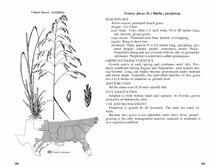 Drawings of characteristic parts of each of the 100 native grasses are included to aid in identification. 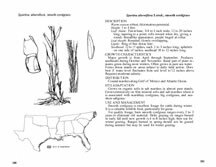 Below the drawings is an outline map showing each grass's areas of importance within the 11 southern states. A reproduction of US Dept. 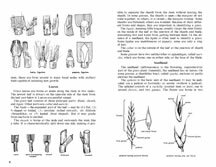 of Agriculture Handbook No. 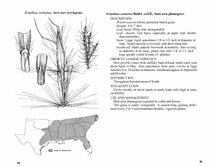 389 (current scientific names have been added when needed), reprinted by the SC Native Plant Society, and available through them: PO Box 491, Norris, SC 29667.